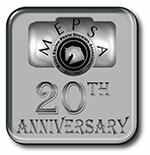 If you have a question about a Qualifier or judge, or if you are interested in judging, please feel free to contact the MEPSA Judge Coordinator, Alyssa Bailey. October 27, 2018 - Performance Clinic Special - this limited entry show is for both Divisions E & F and the judge will provide showers with individual feedback on their performance entries. Photo limit: if you enter just one division you may send 20; if you enter both divisions you are limited to 15 in each. Click Here to go to the go to the Championship Show page where you will find a list of judges and the entry form.